I wonder what it is like to be born into the world of computers and instant communication around the globe where dramatic photos can be uploaded to the world in the middle of a disaster or insults registered around the globe in 141 characters. Where relentless tapping of text messages is very likely evolving the shape of our hands to permit thumbs to work faster. Where a person can speak into the phone and search the internet while one’s car is following a pre-configured satellite mapped itinerary, with instructions delivered by a silky female voice that says, “turn right in 100 meters”. Or poke a button and have a man reading them in lusty low tones. We have choices today, lots of them. Those of us over 40 were born in an era of half-baked technology, black dial telephones and televisions with tubes. We wrote letters to one another and the post office delivered them. We waited patiently for the return letter. If corresponding overseas, the return letter might take weeks. Receiving a letter from family or a lover was like Christmas, a huge, exciting gift. Technology to me as a kid was a crystal radio that my dad bought me when I was 7 or 8. I’d hide under the blanket at night and carefully slide a piece of metal across the crystal to find a radio station. It was awesome to me to find that a piece of rock could deliver the Top 40. Well, that rock is now configured to hold 40 gigabytes of information, or more, and blast videos in loving color directly to the eyeballs on huge monitors the size of Mom’s pride and joy, a large picture window in our living room that framed the Rockies to the west. Now we can click from the Rockies to the Gobi Desert and even do a deep dive into the ocean to go eyeball to eyeball with giant squids. I tell you, that is very different from the old days when tactile was the way, not digital. A kid born today is wired, only the wires are disappearing. If he is not impoverished, he is connected. Connectivity is his natural surrounding. Connectivity is not some peculiar new invention that strikes awe with each new iteration. Wifi is everywhere, and cell phones. You can turn the house thermostat down with your watch, or measure your heart rate. A teen can get on line and slip into the unreality of video games or chat rooms or upload a selfie to 600 “friends”. Kids have no fears about computers. We pioneers had to deal with bugs and blue screens of death and other hazards in the minefields of a blossoming technology. I only had three friends most of the time I was growing up: Roger and Roger and Ray. Our advanced technology was a slick 1949 ford window that could be cranked down so we could push the car-hop button and a cute chick in a short skirt would come out to take our order, burger, fries and a malt. Colfax Boulevard, Denver, Colorado. Ah my. McDonalds in those days had not yet served a million hamburgers, but they were picking up speed. Where have all the drive-in theaters gone, long time ago? Technology is our hope and I wonder if it is our curse. What is the psychology of the chat-room insult on a pre-teen’s character? What is the result if people find a blurring between imagination and reality and climb off the violent video game to go shoot up the high school? Or evil men under the banner of ISIS can recruit your angry neighbor and allow him to exact his revenge on society by beheading people he doesn’t even know? The Philippines is an advanced nation in connectivity. Totally plugged in. Everyone is a star when selfies draw “likes” like so many standing ovations at Araneta. Tagalog works well in text, to hell with the prepositions. EVERYBODY knows the short-form essentials of English, “gud am”. A new language is created that is replete with smiley punctuation marks that say “I am friendly and in good humor”. “Hahahaha!” can also be the most derisive ending to an insult. Why do we worry if Filipino is the national language or not? All languages are eroding, morphing and becoming one. The Philippines leads the world in adapting, so why are we worried about sovereignty, as if we have to defend what we are? Filipinos can adapt to anything. Their history is an adaption. And now English and Tagalog smush together in Presidential speeches or news on ABS-CBN as natural as running naked in the forest. Filipinos take to social media like ducks to water. Are we getting shallower or deeper, intellectually? Are we solving problems or creating them? Free speech and civility are sometimes opposing forces, and ethics should be the place in between that restrains the former in care of the latter. But as Edgar opined, offering up insults is great fun, until the realization hits, for a compassionate man, of what I have just done. Alas, not many are as compassionate as Edgar. I tried Facebook for a while, but became uncomfortable with pretending that I really cared that much about my “friends” lives, nor did I want them to care that much about mine. We Brigs Meyers INFJ’s have a huge I for Introvert. We get our energy in the quiet whereas others require noise. Twitter is rather fun. It’s a game. I could pound out original wisdoms in 141 characters forever, an aspiring Mark Twain in tweet, but I refrain because it would be like showing off. I don’t retweet other people’s stuff very often. I prefer original thought. It is more fun making up opinions about things than digging up the academic lore to know for sure. Now a giant cloud is encircling the archipelago. My cell phone automatically uploads my photos to the cloud which downloads them to my computer. Well, it does that when Globe is cooperative and gets speeds beyond 2KPS. How can Filipinos be so advanced and the companies that serve them so laggardly and predatory? Filipinos love promos. They feel like they are participating in the culture of power and favor, amoral interdependence, to get something off someone else that they are not supposed to have. And that others don’t get. It’s a lot like getting 100 pesos under the table. My wife beams when she can buy something at a discount. Well, McDonalds gives away burgers at cost to make money on the fries. It’s all built into the profit formula. The point is that young people will be more fluid than we who only have one foot in the technologically connected planet. Discussion will be more shallow, I suspect. Friendships more shallow. Thinking more shallow. Emotions riding on easy waves of tweets. It’s like ice skating but the ice is thin. The opportunity for depth is there, but I’m not seeing much of it on line. The discussions on this blog are about the richest and deepest I’ve seen. Even at Raissa’s top blog, contributors tend to look for the quick and simple solutions, one dimensional, passing along links rather than developing original meanings. And too often, proposed solutions deny the simple fact that in tangible, tactile, real time, it just is not that simple. There are layers of overlapping context, beyond the computer screen. A cabinet meeting has real people there, not computer monitors with swipe screens. There are things like interdependence where you chop here and someone in a different department loses an arm. Issues in real life are stacked like an intricate house of cards. Shallow social media opinion mongers want to yank out a card and to hell with the house. Another thing . . . between zippy internet savvy consumers and business predators is a dinosaur, a government that still processes its business on paper. A government that cannot connect data bases. That cannot secure sites from hackers. That cannot do work measurement studies to gain efficiency. I’d recommend the President develop a central IT unit of incredible capacity and capability. A huge unit bringing back overseas technicians and paying them well. Directed at result, not endless study. A unit that can automate NBI and stop the insane clearance business, can get DOJ connected with LTO and COA and BIR and PNP and AFP data bases so an individual can be profiled in 10 seconds. Add in the agency that does land titles. 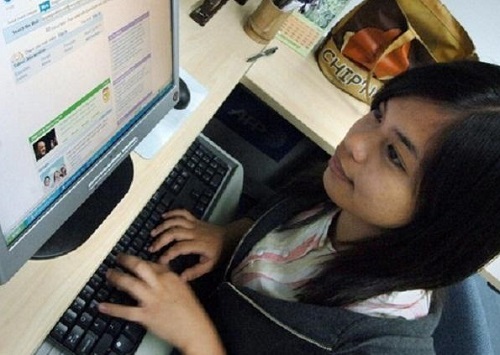 The government IT unit can put together a credit rating agency for consumers, businesses and banks so credit can become a natural part of Philippine economic growth. The unit can program drones and then we can forget working with Americans. Tuck nests of drones on 7,000 islands and the Chinese will go nuts trying to swat them. The IT department can show NBI how to do real CSI. And they can get millions of Filipino kids on computers. DOST is not making the grade. DOST has a project list of hundreds of projects, all trees, no real forest. Studying and planning, not doing. Some days, it’s too fast for me so I go outside and watch the bamboo grow. They can rise a foot a day. Some days, it’s too shallow for me so I go read a book. Dickens is best. Some days, it’s too angry for me so I go read another book. Detective Harry Bosch (Michael Connelly) and Inspector John Rebus (Ian Rankin) do anger well, thus exorcising my own. I think the Philippines will continue to get connected over the next 30 years and the connectivity will finally unify the tribes as one nation. As always, the kids are the future. Take better care of them, eh? Yes the wonders of yesterday and today, tomorrow will be so different from what you just described. I missed Google, knowing flue outbreaks days before the centers of disease control do, knowing what you think days before you know yourself. I missed the commercialization of every aspect of live, love as a business, religious feelings as a business, enjoying nature and seeing bamboo grow as a business. Luckily all of this just happens at the surface, our instincts, our reflexes, our drivers are programed deep in our brains. Survival of the fittest and reprograming of our operating system works slowly, we will still last our time, also the next generation will. And next? Next? The singularity of 2045, when computers know more than all people together. When life expectancy increases more than a year, every year. When solar energy is virtual free. When work is an option and poverty is gone… Change going faster and faster. Nano-technology, bio-technology, 3-D printing, gen-technology, just to name a few. Improved communication, social media are so yesterday’s. I think you missed the part where the earth is incinerated by lasers from a secret Chinese moon installation and there is a sole surviving colony on a comet. But I appreciate your optimism. This website is so snail-mailish…. Just catering for slow thinkers, needing so much time and space. Just visit http://singularityu.org/ in Silicon Valley. Larry Page is one of the main sponsors. Exponential thinking, bases on Moore’s law and the doubling of chip capacity every 2 years. What I mentioned is not science fiction but it are statements of SU. Wake up, think for tomorrow’s world, not yesterday’s. Singularity University just toured Europe, organizing seminars at 2000 Euro per participant. In Belgium hundreds of businessmen attended including all major CEOs. They provide a 2 week course to introduce you in exponential thinking. We tend to forget that we once had cellphones, not smartphones and cellphones are less than 15 years in common use, just imagine 30 years from now, 2045. I visited the site and was not awed. It seems to sponsor seminars and education. I didn’t see any technology, per se, presented on the site. That said, I am sure there are achievements being made that boggle the mind. I mean, I confess to being a slow thinker. I am amazed when I watch the television series that reports on how things are made, like ski boots or ketchup. The former is craftsmanship, lots of hands on. The latter is a lot of machines, mixers and cookers and bottlers and labelers, with humans bopping in now and then. What would I think if inside the plant where chips are actually carved by the millions, or three dimensional video games are crafted by guys too young to date my daughters, all in their 20’s. What I am confident of is when the technology is ready for me, a slow learner, someone will try to sell it to me. And I can decide. That’s nice. Slow or not, I still have power. Comparing brains with computers was ridiculous a few years ago. With billions of transistors on one chip today, we are getting closer. Nano-technology is getting able to build machines on the level of atoms, micro-technologies are getting nano-technologies (measuring-, thinking- , action devises), the difference with biological processes getting very small. Self-programming and self-repairing computers are not science fiction anymore. On the biological side gen-modification is getting common, we are finding out what gens determine love, emotions are getting better understood. Brain-machine connections are getting better fast. The almost infinite variability in human perception, reasoning, and reaction gets closer in being copied in “stupid” computers. Also connectivity of calculating and storage capacity is doubling every 2 years too. And 2x2x2x2…. grows fast. When water hyacinth doubles every day, than the pond was still half clear one day before the pond was totally green! We breached the wall of hunting-gathering with farming 10,000 years ago resulting in cities, states, empires…. and religion, writing….The wall of biological power with combustion engines 2 centuries ago resulting in an industrial revolution, mass production… and core families, democracy… The wall of communication with the internet 20 years ago resulting in what you described… The wall of thinking and intelligence is at the verge of being broken. The wall of feelings and emotions is getting closer fast. Some have to think seriously of the consequences. PS: The list of scientists and technology goeroes involved in SU is impressive and it might just be a start. And the defense department has equal resources hoping to make weapons that can take more decisions independently and more efficient than human beings. Ahhh, wonderful, wonderful characterization. Filipinos have found a wormhole in the space time confabulation and keep recreating themselves on both sides of the river. That whacks two birds with one paragraph. America, for being biased toward white males (although my own bias in that regard is that the top American applied scientists are Chinese), and the Philippines for not even having a public image of a scientist. As I said, as smart lady. And not just about stars and Einstein. Can totally relate! INFP personality, though 🙂 My facebook account deactivated as well, for the exact same reason. Over 40, too… and still friends with my friends from high school. We didn’t quite need to communicate using smoke signals, although that wouldn’t have been so bad. Just phone calls. There was only one kind. We text now. Certainly faster. Funny, that as i read this piece on technology, in the corner of the room sat a cathode-ray-tube TV I’d bought 20 years ago. Big, heavy monster. Staring at me accusingly, haha. Not been used for YEARS. I’d long ago canceled my cable subscription, as I hardly used it. My DVD player’s broken, so the TV just sits there. I don’t have the heart to throw it away. I doubt anyone else wants it. And i’m not friends with the iCloud! It automatically copied my notes from my old iPad (another dinosaur) to my new iPhone (pretty pretty toy! ), and I cluelessly deleted the “duplicate.” Now both copies of ALL notes are gone. Bad cloud. 😡 I mean, shouldn’t it have asked me first if I wanted to delete copies on all devices, instead of simply presuming I knew what I was doing?! An INFP?! Golly, INFP meet INTJ! Like you, Joseph is an INFP; and JoeAm is an INFJ. Am I reading this right? You are INTJ? And Mariano is an INTJ? You are of the same ilk? I do see it in the sneaky word play, and vision beyond the obvious. But we need to add another letter, called “C” with its polar opposite “R”. You both can figure out what it might mean, I am confident. Somehow we need to represent the difference, which is readily obvious. It is said that only 4% of the internet is accessible to us via search engines, the other 96% that we can’t access is called the deep web. The figure varies some say it’s only 0.04% or 0.03% that is accessible, which is even more astounding. So the innumerable sites that we know that exist is not even the tip of the iceberg. It can only be access by downloading Tor, but beware, you might end up in jail if you’re not careful. Seriously. Wow, only 4%???!!! Gadzooks, now I feel more ignorant than usual. Tor sounds like an evil creature from a distant planet. FILIPINOS ARE NUMBER ONE !!! Imposter! Next you will be defending Aquino. My apologies to DOST. That is good to know. Top-flight IT project planners are among the most brilliant people in the world at getting stuff done. They can get the timelines and intricate cross-functional deadlines down pat. If someone drops the ball, everyone knows who it is. A good plan like that is for sure an incentive to produce. I believe at this stage in Philippines’ development, it needs technocrats more than lawyers and celebrities. The country is in sore need of more competence and integrity and less pompousness and hypocrisy in its elected and appointed officials. Yes, indeed. What a difference in output we would have. The way I see it, shallowness does not discriminate from one medium to another. Superficiality goes anywhere, every wherever it finds itself in good company. Online and offline. Neither does it impose age limits on itself. Nor is it gender selective, etc. Shallowness, in more ways than one is an equal opportunity afflicter of the mind. So then the reverse can also apply, the capacity for intelligent thought, to contribute depth and insight to this kaleidoscope of both faux, precious, semi-precious,, and sometimes worthless information, ideas, opinions and non-opinions that make up our daily lives will find itself a listening ear, a keyboard to pound on, a podium to stand on, and what have you. Connectivity can be as much a blessing, as it is a curse. Ever the optimist, I go with the former. When I set aside the rhetoric, I’d find myself agreeing with you, Cha. Think about how much information is now available to us at the click of a button. Remember those card catalogs and the Dewy Decimal System? Research used to be painstaking. Now it is not. And debate has a lot more points of view than just hangin’ with the friends and having one’s biases confirmed. My closing lines actually express that. I want Filipino students to have tablet computers. Toss the ratty text books. Plug them in, and they’ll play for a lifetime. Productively. I should have followed my own advice to Gel the other day and put a smiley in there somewhere. The comment was mostly written with tongue in cheek. Meant to be a tribute to the shallow young people in my life who drive me nuts every now and then, make me laugh the rest of the time, and more often than I expect awe and inspire me with flashes of brilliance and maturity that I was probably short of myself when I was their age. Ever the diplomat. I would have said, “Stupidity does not discriminate from one medium to another.” Thickness is in the messenger not the medium. I like the way you wrote this, Joe, The flow, the lyrical prose, it is good writing. A few posts back, I marveled at the comet landing of a space probe. Just this morning, I watched the news on the final decision of the SC to remove the oil depots in Pandacan. Guess what immediately comes to mind as a post-removal option for the 12 hectares? Why, thank you, Andrew. I enjoyed writing it. It was nice to get away from Binay and politics for a change and reflect on things whilst typing away. I remember Colfax avenue or street. I lived in Cherry Creek, Denver for over a year. Was’nt Colfax Avenue billed as the longest continuous street in the USA? So fascinated was I that I drove through its full length several times. About like 25 miles long. That’s a good question, Buddy. I have the perhaps mistaken notion that it is Sepulveda Boulevard in Los Angeles that is the longest, but Colfax was certainly dramatic enough. Our stretch of it was fairly short, around the intersection of Wadsworth running west, where the drive-ins were situated. 🙂 I remember Cherry Creek getting washed away in a flood, I think the one that had semi trucks and motor homes floating through Denver and wiping out all the freeway overpasses clear down to Castle Rock. It also has a famous golf course if I recall correctly, where Palmer and Nicholas would whack. Then they wacked at a course in Castle Rock. I wonder if the sod washed down there from Cherry Creek. My town was Arvada, just downwind from Rocky Flats and their atomic works. It used to be a quaint rural town with annual harvest festivals, which they stopped when they became annual riots. Youth lost their way, I think. The lumber company downtown . . . ummm, Metz Lumber burned one night. Dad took the family down for a show. We watched from across the street as cans of paint blasted into the night sky, a lot like the flares over Saigon I’d see in a different lifetime. No computers then . . . but we found our entertainment nonetheless. 1. Hmm, I don’t know. Some say technology broadens, others say narrows. 2. What I do know. Some of the points are echoes of points already made. 2.1. From successive waves of vast improvements in media – from smoke signals to telegraphy, telephony, movies, radio, TV, computers – our exposure and access to the outside world have changed in several dimensions. 2.2. On the horizontal dimension, the input of media has increased a thousandfold. When I was young, there was radio but no TV. Movies were once-a-year affairs, if that. Now, there is so much available on the menu that I am lost for choice. I could not possibly ingest a fraction of what is out there, much less even know what is out there. It’s impossible: we would need an infinite life or an infinity of lives to consume what is here now. What about what will be here tomorrow? 2.3. On the vertical dimension, the depth of media is abysmal in the good sense of the word. You can delve into any topic, any subject and be overwhelmed by detail. I bet all of you have researched a subject -– such as Sonny on graviton and me on anatta -– dived into unknowable depths, not touched bottom and have had to come up struggling for air. 2.4. On the diagonal dimension, the points of view that media offers are that of the story of the blind men and an elephant and the Rashomon Effect (aka the Mariano Effect). 2.5. On the dimension of scale, the universe has become smaller – and bigger. We know what is happening all over the globe and we know part of what is happening in space. 2.6. On the dimension of time, there is the immediacy of the past hour or even the present moment, and we can visit into the past. 3. So: a portion of all of these media are input to the Black Box that is ourselves. Are we able to properly process these data at all? And by proper process I mean being able to sort out the meaning of it all? I very much doubt it. We tend to see what we want to see. As the Rolling Stones have averred, the observer is the observed. 4. And what about output? Have we — will we — become wiser, more tolerant, and kinder? On this, I agree with Cha. The benefits of technology have been enormous. But the danger is that we are so mesmerized by it that we become lotus-eaters. 5.2. Our fingers will develop Wolverine extendable/retractable styli to manipulate touch screens. 5.3. Our eyes will bulge out of our heads. 5.4. Our foreheads will recede, and our brain capacities will diminish as everything can be googled and can be stored in the cloud. 5.4. Our ears flaps will become elephantine and we will be able to tug at our earlobes to smooth dynamic range and adjust bass/treble volumes. Very productive and imaginative flights of rumination as usual, Edgar. I do pause to digest and savor them. “… On the horizontal dimension, the input of media has increased a thousandfold. When I was young, there was radio but no TV.” I can hearken to a favorite slice of time, as an 8-yr old grader listening to a 76-rpm recording of Swedish Rhapsody on a hand-cranked RCA Victor box, on a sweltering Ilocos afternoon, working on a plump star-apple. We were lucky, the input/output center we used (one hour drive from our plant) , linked via satellite (or oceanic cable?) with a mainframe in Chicago, it had a copying device, only data had to be changed, it required a lot of dexterity (cause of Edgar’s prediction 5.2? ), usage was paid per minute and the program was 2 shoeboxes of IBM cards large. Then, as pioneers in the group, we moved to a desktop computer with 512 program steps (also a type of invers Polish notation as HP later) and 512 memory positions (of 12 digits) to do the same calculations! HASP? Sorry, no. After working on the S/360 (with 32K memory) mainframe, I branched out to minicomputers, specifically the HP3000 and TI-something. I eventually ended up going back to IBM machines on the AS/400. I do remember working with punched cards and, as with Joseph, the largest program I worked on was 2 shoeboxes. Joseph’s 512-bytes memory desktop is a wonder. I can imagine one could be productive with that small amount of memory, after all in the early mainframes, arithmetic operations were done in a handful (8 to 16) of 16-bit (2 bytes) or 32-bit registers (4 bytes). But 512? That’s only half a K! That must have been fun! But nowadays 512-bytes is just half a page of text or a little more than 3 Twitter messages. This comment alone is 795 bytes. I talk about memory positions (addresses). each position had the capacity of 12 digits or about 4 bytes (?) meaning a 2K byte memory part. It was fun. Had a 7 step subroutine to split a memory position in 2 positive number by using the “integer” instruction. (used it for a 4000 parts inventory, part numbers in 4 different colors 🙂 A direct address was one program step and indirect 2, so at the end you had to translate all indirect ones to create some extra space for more instructions. Edgar, I did some IBM S/36 before conversion to AS400. I left the place before delivery. HASPxxxxxx stood for Houston Automatic Spooling Priority – these messages were log-trail of a job in a S360/S370 environment; were always at the top of page of job printout. Ah, Edgar. You have outdone yourself, a masterpiece that even got the Stones injected in their rightful place, such insertion sending me into a loud blast of laugh which got my wife’s eyebrows raised, both of them. By the end, she had slapped her forehead and slid from the room, leaving me to my chuckles and chortles and guffaws. Wonderful. I’m not going to worry about technology every again. Like water, it will find its proper horizontal and vertical place, and expand at a pace that does justice to the Stones . . .
5.1. Virtual worlds will become more inhabitable than the real world. But less relevant, the reaction of my clan to my behavior will. I will be the funny guy or the associative or the humanistic or the holistic or…. The “slow” movement will gain in importance, away rom 3D food printing, back to hunting a bear in the parks of our city and grilling it over a charcoal fire. 5.2. Our fingers will develop Wolverine extendable/retractable styli to allow unique greeting within my group. Thought will be directly connected to global cloud intelligence, manipulated touch screens will be in lost corners of archeological museums . 5.3. Our eyes will bulge out of our heads. I doubt, unique beauty characteristics will be selected by our parents and radically changed in our teenage years. 5.4. Our foreheads will increase, and our brain capacities will grow exponentially as everything can be googled and can be stored in the cloud we need a larger brain to make sense of it all. The Filipinos still rely news in newspapers, radio and TV. The real news are in Blogs and Forums even feeling the pulse and intelligence of the Filipino people. The only news that I read from start to finish are American news websites never Philippine news in physical form or in digital format. The news is already predictable: Affidavits, he-said-she-said, witness accounts EVIDENCE NOT NECESSARY. FORENSIC EVIDENCE IS SCIENCE Filipinos are not good in science because science language is mathematics that requires keen observation and extreme logic may they be graduates from University of the Philippines where most crooks graduate from. One smart Filipino (very rare) told me that “it appears that U.P. produce crooks because most Filipinos prefer to elect and hire people that graduated from University of the Philippines”. Very goot analysis. That one smart Filipino is saying, that even if they graduate from a university other than U.P. they are still corrupt as well and just the same. Even columnists and U.P. journalists and congressmen and senators do not read budget line items but it took eng-get envious snitches there were fats in pork because their budget was not approved very obviously. NEVER EVEN HEARD OF COLUMNIUSTS OR NEWSPAPER JOURNALIST CRITICIZING EACH OTHER REPORTS ONLY IN MY COUNTRY, THE UNITED STATES OF AMERICA. It may appear that Philippine newspaper columnists and journalists are holier than thou BECAUSE FILIPINOS HAVE NEVER HEARD OF THEM TRADING INSULTS AND CRITIQUES. Thank gootness we have the internet but its effect is not felt despite Filipinos are number one in social media because they are busy updating their Facebook, Twitter and Instagram. To sum things up, THE PHILIPPINE JOURNALISTS ARE TIDY, CLEAN, AND INCORRUPTIBLE BECAUSE I NEVER HEARD OF THEM RECEIVING BRIBES, COMMISSIONS AND PDAF. MY RECOMMENDATION AND SUGGESTION TO CURE ALL THE ILLS IN THE PHILIPPINES (See? I do have suggestions, solutions and recommendations) IS ELECT ANYONE FROM THE PHILIPPINE PRESS. THEY ARE HONEST. OVERLY HONEST. THIS IS THE ONLY OUTFIT THAT IS IMPERVIOUS TO CORRUPTION. Let us wait until they get elected. May I laugh, Joe? AHA! HA! HA! HA! The only flaw I can see in your thinking is that we have to take care to weed out journalists who have graduated from UP, or any other university. Maybe we should elect a priest, instead. They come with impeccable credentials. HA! HA! HA! The connectivity is already happening and it is unstoppable. A decade from now, a lot of us will pass away but not the connections we did, it will be part of development, yahoooo…so be it. Perhaps more or less a decade, the leader will be as organized as computer 486 would be better than a leader who does nothing but corrupt peoples money. My current thinking is like as fast as 386 which is good and can cope with laptops and chat daily, pass the time. Yours probably breezing between 386 and 496 but good enough to catch up with these teens. We do understand some of their SMS. The fact is always revealed as fast as the Sun rises, corruptions will be less if all these agencies are interconnected. Connectivity is irresistible, no one can stop it, I hope it will happen before I go 6 feet under the ground. That is a nice indication of a reason for optimism, mac. I think that automation of government acts will take place with great speed because it IS a big blow against corruption. We’ll know it has succeeded when Makati automates. Ah, I imagine a conglomeration of information where agencies are revealed for what they do. Or don’t do. I notice that President Aquino always has a computer in front of him during cabinet and other meetings. I never see Obama with one. Way back 1980, my sister-in-law’s aunt was an executive at the PH Central Bank. Her description of tons and tons of paperwork waiting for data entry was mind boggling. For the country’s sake I hope those primary records are finally in electronic media. Else, I suspect some years are no longer available. I wish we are even some significant percentage of say, Cook County’s (Chicago & environs) electronic databases. “A Brief History of Computing” should probably be a required reading. Thanks, i7. Every writer has his tricks of the trade, and his good days or bad. For some it is routine, write by the clock. For others, it is a glass of wine. For me, it is three things: (1) notice lots of things big and small and then later . . . maybe years later . . . piece them together in a way that is different, (2) practice, and (3) when people criticize or praise, circle back to 1. Anybody can do it. Joe, if you haven’t already done it, then i recommend to watch a few episodes of NCIS and see how gov’t institutions (good guys) catch the bad guys with the help of good geeks. A step up from affidavits, eh? Oh, yes. I like forensic police work. And yes, MRP will be happy. OH, YES! Definitely I’d be happy if there is forensic police work in the Philippines. But according to my crystal ball it is not happening neither today nor in the future. The Chinese government sent their forensic experts to investigate and gather evidence on Chinese Bus Massacre in violation of the Democratic Republic of the Philippines sovereignty. When Chinese reached the crime scene, the bus was already moved. What got the Chinese forensics chuckling and scratching their head was CIS:Manila used palm frond sticks to mark the trajectory of the bullets CIS:Chinese used glow-in-the-dark threads. The crime scene was sooooo desecrated, trampled and contaminated that the President made amends to the Chinese by accepting one condition: That Chinese Government review the findings of CIS:Manila before it goes public with their stamp of approval. That is how Chinese looked down the Filipinos. Well, they should! The comical rescue of the Chinese Hostages led by a proud-and-brave Philippine Military Academy personnel which is equivalent to West Point (not really equivalent) did not know the bus windshield was made of laminated pexiglass that doesn’t shatter. Mama Mia how ignorant can they get. But it was fun watching stooges played their act. Another faux pax by CIS: Philippines is the “forensic investigation” of Ampatuan massacre. They used the same backhoe that burried the Toyota Tamaraws and the victims to pull them out. They did not dig thru the victims layer-by-layer but carelessly pulled their carcass out. There was no preservation of crime scene at all! Mama Mia! How brilliant the Filipinos are! The Filipinos still have a long way to go. They have a lot to learn. But, can they learn? PCGG chariman, former DOJ Senator Drilon, VP Jejo, Mayor Elenita, SEnator Nancy, Congressman Abigail, Presidents Benigno, Arroyo, Marcos, Aguinaldo …. just naming a few are all corrupt. But they hate Binay the most because he topped all the corrupts. Been reading commenters at Inquirer they hate Binay because he stole the most NOT BECAUSE HE STOLE. The operative word there is “STOLE THE MOST” so it is OK to steal as long as it is not much. So, therefore, Filipinos are naturally born-thieves. There is another corrupt just yesterday, Neptali Gonzales II. When you see a suffix i, ii, iii meaning they all came from corrupt lineage. Filipinos got it from Spain. They love to attache roman numeral suffixes because it is not only cool but also “pedigree”. Right now, what I want the corrupt Senate to investigate is University of the Philippines. They produce the most crooks all the universities combined. U.P. must have a course in CROOKERY. Let us not mention PMA because they are violent bunch with tentacles in every corner of the Philippines. U.P. also produced the most FAILED LEFTISTS like PMA produced the most failed coup-de-t’aters. But who’d cover these failures? Not the Philippine Press! Because Philippine Press employees are from U.P., too!!!! They protect their own. So, that is why Democratic Republic of the Philippines will never ever get to 20th Century. Policeman Wilson was not indicted because of preponderance of forensic evidence despite what the blacks think. In the Philippines, well, they cannot even know what forensic evidence is. What they only know is biased, eng-get, bought witnesses accounts writing affidavits. By perception alone peddled by Philippine Press the accused is already guilty. The accused, like Tiu, has to gather his own evidence to convict himself while Trillanes and Cayetano sits there asking the accused for more evidence. ONLY IN THE PHILIPPINES. … suddenly like a flash in the pan, Mt Makiling scandal is now thing of the past. … suddenly for the past couple of days there were no news on Binay after Supreme Court Chief Justice Benigno Aquino told them to wrap up the investigation if they do not have evidences … instead they resurrected Ampatuan and now looking into Senate Prosecutor Cayetano’s wife and Neptali Gonzales II. I SMELL COVER UP !!! But still the fishy smell permeates the air. @ Joe, I did trip up this one, didn’t I? 🙂 I used the SEARCH feature and Voila! I find out you like HEART OF DARKNESS. But, me? I could deal with the movie version (LORD JIM) only or CLASSICS ILLUSTRATED. I stopped reading fiction a long time ago. Last fiction work I read was THE CARDINAL. @sonny … Dream on, sonny! Dream on! Forensics, Cold Case, CSIs No need. All investigation turns into admission and confession. They must have priests as their lead investigators.